Handcrafted from premium avocados. Distinctive, flavorful and all-natural. La Tourangelle Avocado Oil is all-natural and expeller-pressed from the pulp of avocados. 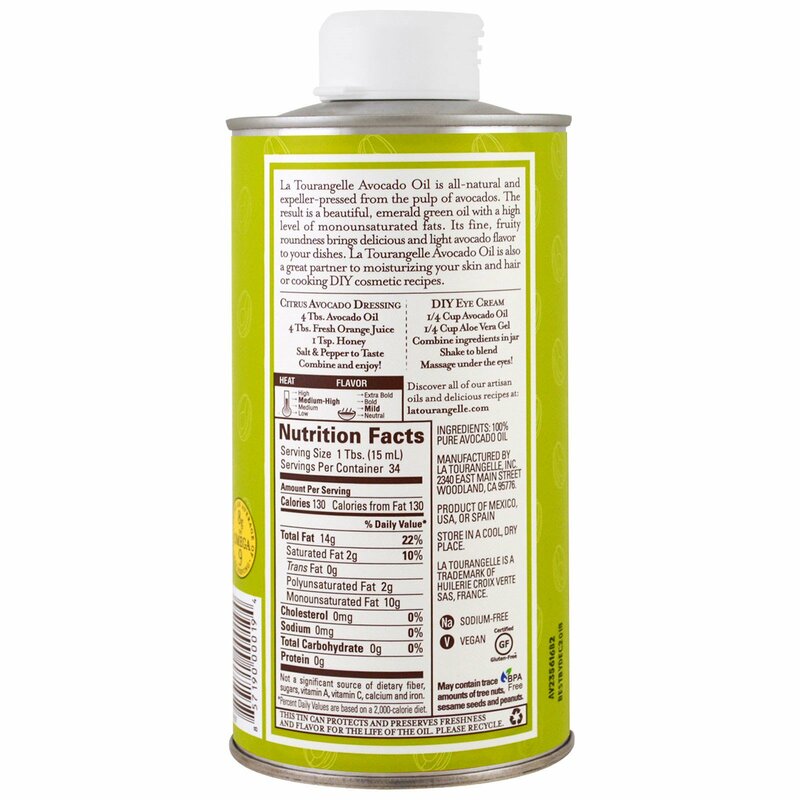 The result is a beautiful, emerald green oil with a high level of monosaturated fats. Its fine, fruity roundness brings delicious and light avocado flavor to your dishes. 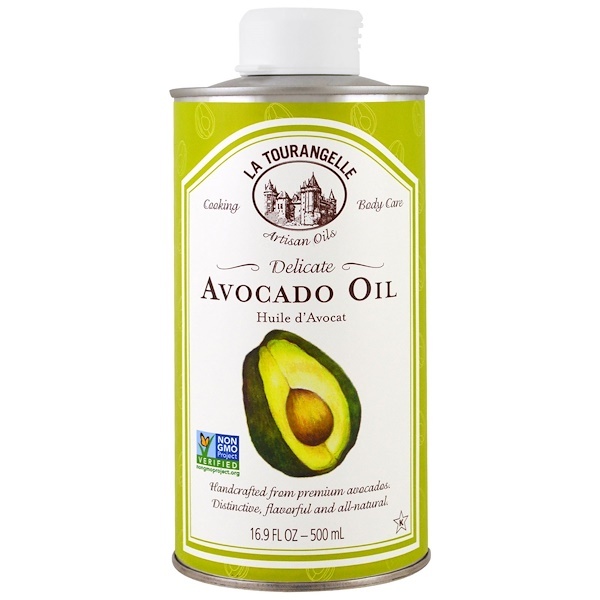 La Tourangelle Avocado Oil is also a great partner to moisturizing your skin and hair or cooking DIY cosmetic recipes.